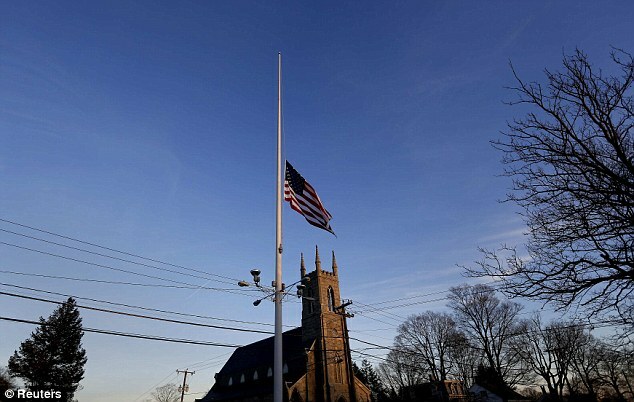 Our flag stands at half mast, from American Samoa to Maine. It will remain there until sunset Tuesday under orders from the president. Then, at first light Wednesday, Old Glory will be raised in school yards across America again, and the business of the nation will begin anew. All stories come and go. All news cycles end. But the bewilderment that must have been on the faces of those little children in Newtown last Friday morning demands that we fight to keep this tragedy alive, however painful. The nation can’t move on until it decides to do something about Newtown. If it doesn’t, it’s not the country we know anymore. We are a land of good people, of good parents. We often disagree with one another. Sometimes fiercely. But we all care about children. They are our common bond, and the fight over gun laws in America now involves them. If the massacre at Sandy Hook Elementary had been carried out by terrorists — as happened at a grammar school in Russia in 2004 — we would be drawing up war plans. I bet a million Americans would volunteer to hunt down the perpetrators.This isn’t so easy. The perpetrators are our own. The rest of this column is available at Newsday.com. Thanks for reading!